Colorado is an amazing state with many fun things to do for visitors and locals alike. We have a short list of the Top Colorado Vacation Ideas for you. A fun thing to do is to go on one of the many different types of tours available in Colorado. The first type of tour to consider are the beer tours. 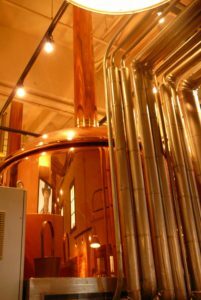 There are several types of beer tours in Colorado, but one of the most popular tours are the microbrewery tours. These tours are generally pretty small and are at your fingertips. There are more than 20 local microbreweries in Colorado Springs and the surrounding areas. Why does the number of microbreweries matter? The number matters because it opens up a large selection of places to choose from based on what you want. Phantom Canyon Brewery, C.B. & Potts, and B.J.’s Restaurant Brewhouse are just a few of the biggest breweries to choose from. Let’s not forget about the most famous and the largest of the breweries in the state, the MillerCoors Brewery and the Anheuser-Busch Brewery. Both have full tours consisting of a small history of the beers, seeing how the pick out the hops and barley they use, seeing the distilling tanks, and then the large sampling area that you go to at the end of the tour, which allows you to sample a few of their beers. If you are a less outdoorsy type, you are still in luck. 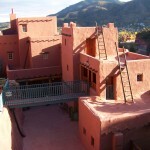 Colorado has many museums to choose from as well. There is the mining museum, the car museum, the bug museum, the pioneer museum, the ghost town museum, Peterson Air and Space museum, World War II Aviation national museum, Rocky Mountain Motorcycle museum, Dr. Lester L. Williams Fire museum, the Fine Arts Center, which hosts all kinds of activities and displays, to shows and concert events. You can also go to the Air Force Academy to see planes on display, exhibits, and the Chapel. The Cave of the winds, Helen Hunt Falls, Garden of the Gods, the scenic Cog railway, Seven falls, and the only mountain zoo, the Cheyenne Mountain zoo are also great places to checkout. The last type of tour that will be discussed today is the ground-breaking Colorado Highlife Marijuana tours. Marijuana tours are a relatively new type of tour in Colorado Springs since it has only been legal in our state for a few years. These tours are generally pretty laid back. It gives the tourist a safe way to purchase and smoke or eat marijuana, along with giving them a fun and scenic tour. Colorado Highlife tours come highly recommended and they are the first company to erupt on the pot scene in Colorado and bring marijuana tours to the public.